In election petition and pre-election litigation, it is common to see lawyers and litigants go off on a tangent on the issue of qualification of a person for election to various offices, by introducing into their processes, internal party issues and non-constitutional criteria. And this is notwithstanding the express provisions of the Constitution on the qualification for political positions. It is either the Petitioner is alleging that the Respondent was not properly nominated by his/her political party and as such is not qualified to contest the election in the first place, or the Respondent in his Reply to the Petition, is setting up a defence of lack of locus standi of the Petitioner on the ground that the nomination of the Petitioner is invalid. “Section 87(9) of the Electoral Act answer the question. It reads: "87(9) Notwithstanding the provisions of this Act or rules of a political party, an aspirant who complains that any of the provisions of this Act and the guidelines of a Political Party has not been complied with in the selection or nomination of a candidate of a Political Party for election may apply to the Federal High Court or the High Court of a State or FCT, for redress. This court has interpreted the above section in recent decisions. In Sylva & 2 Ors v. PDP (2012) 13 NWLR (Pt. 1316) p.85 I said that: "..... Section 87(9) of the Electoral Act confers jurisdiction on the court to hear complaints from a candidate who participated at his party's primaries and complains about the conduct of the primaries...." In Lado v. CPC (2011) 18 NWLR (Pt. 1279) p.689 Onnoghen, JSC said that: "...... section 87 of the Electoral Act, 2010, as amended deals with the procedure needed for the nomination of candidate by a Political Party for any election and specifically provided a remedy for an aggrieved aspirant who participated at the party primaries which produced the winner by the highest number of votes." Also in Emenike v. PDP & 3 Ors. (2012) 12 NWLR (Pt. 1315) p. 556, Fabiyi, JSC said: "...... that for a complaint to come within the narrow compass of sections 87(4) (6) and 87(9) of the Electoral Act and be cognizable by a court the aspirant must show clearly and without any equivocation that the National Executive Committee of the Political Party conducted a primary election in which he was an aspirant and that the primary election was conducted in breach of specified provisions of the Electoral Act/Electoral Guidelines. Can the appellant benefit from section 87(9) or did the appellant participate in the re-run of the PDP held on 15/1/11. In his affidavit filed in support of his amended originating summons the appellant deposed in paragraphs 26 and 30 as follows: "26. That in response, I informed Mr. Akpabio Udo Ukpa that I was not aware and did not participate in the re-run election. 30. That because of their refusal to inform me, I could not attend the re-run neither did any of my supporters, as we became aware after it had been done." An admission, clearly and unequivocally made is the best evidence against the person making it. 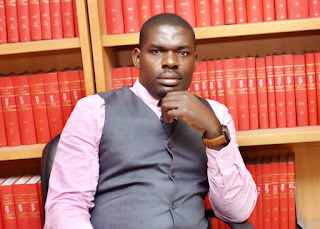 Paragraphs 26 and 30 are conclusive evidence that the appellant did not participate in the re-run primaries conducted by PDP on 15th January, 2011. They are clear admissions by the appellant. 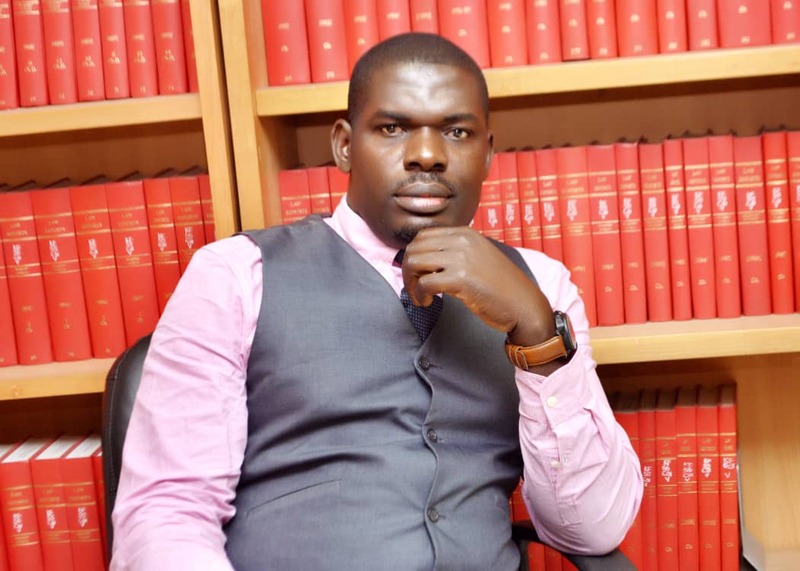 Since the appellant did not participate in the re-run primaries there was no way he could complain about the conduct of the primaries, and so had no locus standi to institute an action as provided by section 87(9) of the Electoral Act. Put in another way, before a candidate for the primaries can have the locus standi to sue on the conduct of the primaries he must be screened, cleared by his political party and participate at the said primaries. Anything short of that the candidate who did not participate in the primaries could conveniently be classified as a meddlesome interloper with no real interest in the primaries. The Court of Appeal to my mind was wrong. The appellant has no locus standi to institute this suit because he did not participate in the re-run primaries." The above excerpt summarizes the principle that only an aspirant who participated in a party Primary can challenge the outcome of the primaries. If a member of a political Party who did not participate in the Primaries cannot challenge the outcome of same, how much more a non-party member? This again, underscores the need to compartmentalize the ground of non-qualification in election petition litigation. Second and as a corollary to the first point above, the election petition Tribunal is not a proper venue to challenge the nomination of a party candidate as it forms part of pre-election matters which incidentally are now time-bound. Even where qualification of a party candidate is to be challenged either in pre or post-election dispute, a bit of circumspection and adroitness is required to avoid veering off the Constitutional path. In my previous write-up “Election Petition Litigation: Key Legal Issues to note” (https://www.linkedin.com/pulse/election-petition-litigation-key-legal-issues-note-prince-nwafuru/), I had discussed the nature of challenge to qualification that could support a ground of election petition. However, in that op-ed I did not mention the provision of section 138(1)(e) of the Electoral Act. Not that it would have changed my conclusion in that write-up, but at least to show that the new sub-section has not changed the position of the law on the vexed issue of qualification of a party candidate. This follow up is therefore, necessary to demonstrate that the ground of non-qualification is often misunderstood and misapplied at the election petition tribunals and in pre-election disputes as well. In PDP v. OGAH & Ors (2016) LPELR-40850(CA), the 1st Respondent Dr. Sampson Uchechukwu Ogah sought the disqualification of Dr Okezie Ikpeazu, the current Governor of Abia State on the ground that the Governor was not qualified to be the Candidate of the Appellant (PDP) in the Governorship Election relying on and alleging that the Form CF001 as sworn to by Dr Ikpeazu in the affidavit accompanying other documents submitted to Independent National Electoral Commission by him pursuant to Section 31 (2) of Electoral Act was false. The Court of Appeal in setting aside the decision of the Federal High Court disqualifying Dr Ikpeazu, reiterated the principle to the effect that based on the doctrine of "covering the field" as enunciated in AG. Abia v. AG. Federation (2001) 6 NWLR Pt. 763 at Pg. 264 at 391 - 392 also in Abia v. AG. Federation supra, by the Supreme Court, the National Assembly CANNOT make laws with respect to the qualifications and non-qualifications of candidates for election into political office. What is clear from the foregoing decision is that the issue of qualification of a candidate to stand for an election can only be decided by making reference to the Constitution. Section 138(1)(a) and (e) of the Electoral Act, 2010 (as amended) is therefore not a blank cheque to introduce internal party affairs or any qualification issue not anchored on the provisions of the Constitution in pre or post-election disputes. Putting it differently, in challenging the qualification of party candidate at the Election Petition Tribunal or regular Courts, it is important that the ground of the petition or objection is premised on those qualifications provided under the Constitution. The Constitution has made copious provisions for the qualification of persons vying for various elective positions such as President, Governor, Senator, Member of House of Representative or Member of a State House of Assembly. For instance, the Constitution provides that “A person shall be qualified for election to the office of the President if –(a) he is a citizen of Nigeria by birth; (b) he has attained the age of forty years; (c) he is a member of a political party and is sponsored by that political party; and (d)he has been educated up to at least School Certificate level or its equivalent. Any other provision of the Electoral Act or any other law setting different qualifications for candidate in respect of any elective post in Nigeria is subservient to the above Constitutional provision and cannot be countenanced. 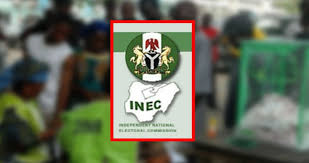 Putting it differently, any requirements provided by INEC or any other body stipulating the qualification to contest an elective position in Nigeria must be within the narrow margin of "all constitutional requirements for election to that office." In effect, any extraneous requirements that are squarely outside the requirements of the Constitution on qualification of a person to an office cannot ground a reason for disqualification either in election petition litigation or pre-election matters.